CityVille zoos introduce a different way to play with your Facebook friends. With the new feature, you can send your friends donations, which can be animals, coins, energy reserves, or goods for your businesses. As you collect items, you may even loot rare animals to use in your zoo. Players who want to have a zoo right away can purchase the zoo items with city cash. Once a player hits level seventeen in the game the zoo quests unlock. In your inventory, you’ll find habitats for your new animals. Zoos also provide you with a new source of income for your growing city. As you ad more animals to your zoo you’ll make more money from them. Zoos are a brand new feature to CityVille and more options might be available in the near future so this guide could change. 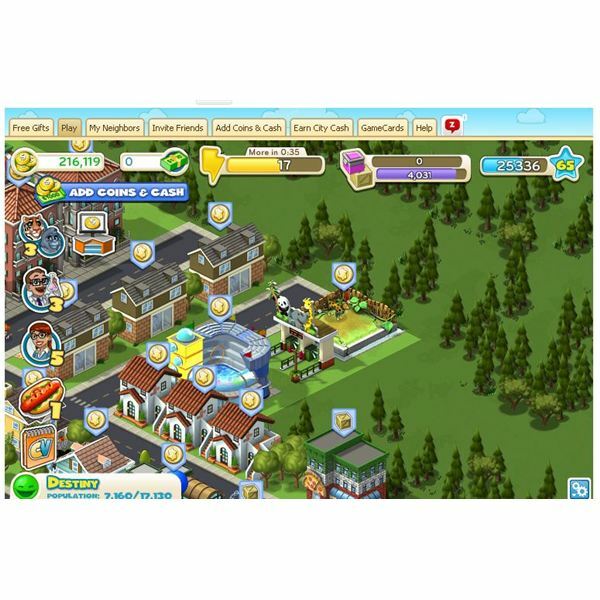 Once you reach game level seventeen in CityVille, you’ll be able to place your first habitat. You can find this habitat in your inventory. When you receive your first animal, it will be a random selection. As you add animals, you’ll see them in your habitat interface. From here, you can click on the “ask for animal’s button and have Facebook friends send you more animals for the zoo. At any time, you can remove animals you n longer want from your zoo and try another one. There are many different animals available such as tigers, monkeys, hippos and other creatures. As the feature develops, more animals could be added to the zoo feature. There are several different new items for your zoo, which you can buy to make the zoo come alive. Habitat – Available at level seventeen, this building holds your animals. Zoo Cafeteria – Cost 6000 coins, earns 585, needs 130 goods, unlock level 18. Zoo Gift Shop – Cost 5,500 coins, earns 352, needs 80 goods, unlock level 20. Alfalpha – Cost 44 coins, goods 60, grows in 6 hours, unlock level 18. Zoo Sidewalk– Cost 25 coins. Petting Zoo – Cost 42 city cash, 16% bonus to city habitat. Butterfly Garden – Cost 32 city cash, 13% bonus to city habitat. Jungle Zoo Gate – Quest reward 3% bonus to zoo habitat. Ticket Booth – Quest reward 11% bonus to zoo habitat. Watering Hole – Quest reward 4% bonus to zoo habitat. Picnic Area – Quest reward 11% bonus to zoo habitat. Jungle Bedrock – Quest reward 1% bonus to zoo habitat. Zynga continues to add great content to CityVille and the zoo feature is another great options. There are plenty of supporting structures with the new zoo to make it a worthwhile addition to your city. You can unlock this feature after level 17 so look for the quest to the left of your game screen. Be sure to check your inventory for the zoo items and the game store. Just remember that some of the items are quest rewards so they will end up in your inventory after you finish the quests. Enjoy this CityVille zoo guide and look for more CityVille updates to come. Source: Article is author's own experiences playing CityVille on Facebook.